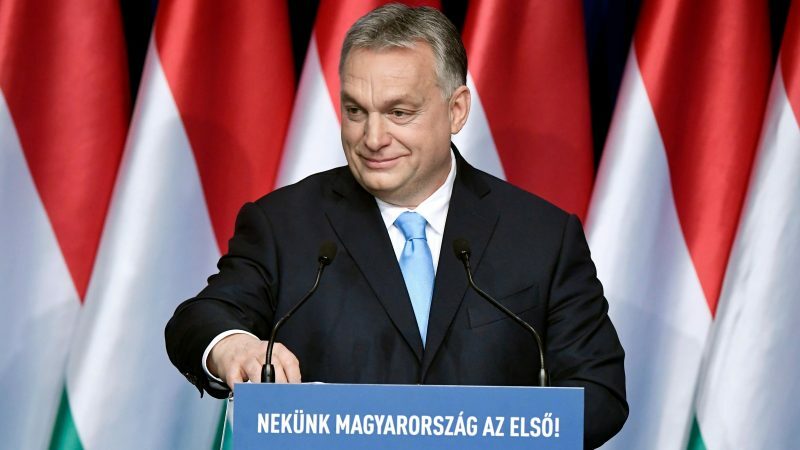 Hungarian Prime Minister Viktor Orbán launched his European elections campaign Sunday (10 February) calling for voters to defend “Christian” nations against immigration, which he said led to the “virus of terrorism”. He also announced a seven-point package of tax breaks and subsidies to encourage families to raise more children, a move he called “Hungary’s answer” to its falling population instead of increasing immigration. 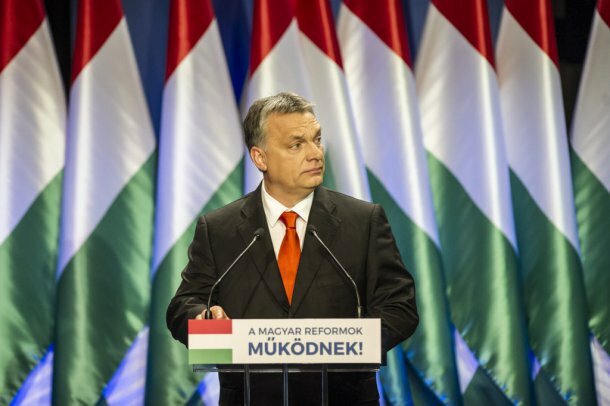 May’s elections for the European Parliament were a “historic crossroads” for Europe, said Orbán, in this year’s state of the nation speech in Budapest before an invited audience. He framed the vote as a choice between the “new internationalism” of pro-migration Brussels bureaucrats under the sway of “money men” such as liberal US billionaire George Soros and sovereign nation states defending tradition and Christianity. In the annual State of the Union address on Friday (10 February) Hungarian Prime Minister Viktor Orbán listed among those who “attacked” his country billionaire George Soros and the European Union. And he warned against voting for pro-immigration parties. Those who “decide for immigration and migrants for whatever reason in reality are creating mixed-race nations”, he said. Referring several times to Hungary’s abandoning of communism in 1989, he said Hungarians were again confronted with “those who would wipe out our traditions and nation states”. 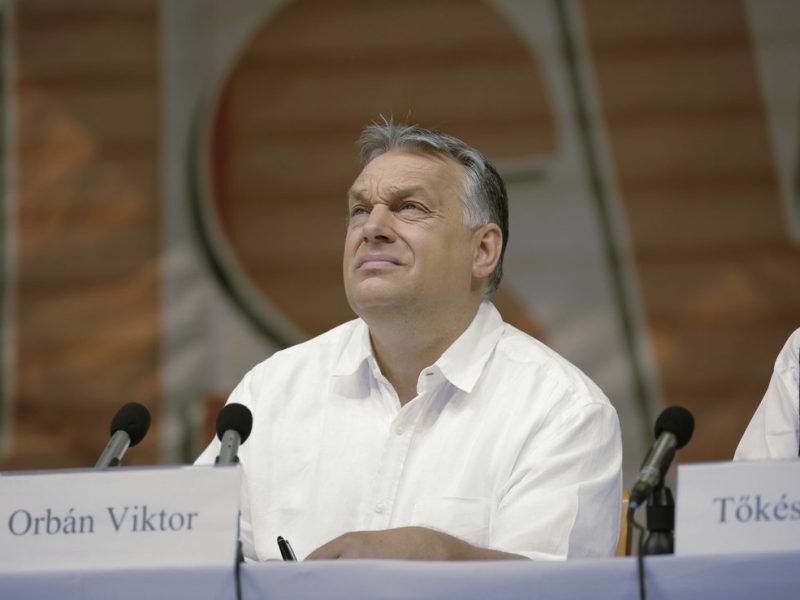 Hungarian Prime Minister Viktor Orbán said on Saturday (28 July) that European parliament elections next year could bring about a shift toward illiberal “Christian democracy” in the European Union that would end the era of multiculturalism. Orbán, who has emerged as a self-styled “illiberal” figurehead for nationalist politicians in Europe, added that “immigration brings increased crime, especially crimes against women, and lets in the virus of terrorism”. Announcing his seven-point programme, Orbán ruled out any move to tackle Europe’s declining birth numbers with higher immigration as “capitulation”. “We don’t just want numbers, we want Hungarian babies,” he said, after declaring that women bearing four or more children would be exempt for life from personal income tax. Hungary’s population has fallen below 10 million in recent years and has one of the lowest fertility rates in the OECD. An estimated half-million Hungarians meanwhile have emigrated to western Europe since it joined the EU in 2004.